If you are looking for a trusted, professional team of Sydney web developers for your next project, why not speak to a web development agency that has the experience to turn your ideas and projects into a reality. 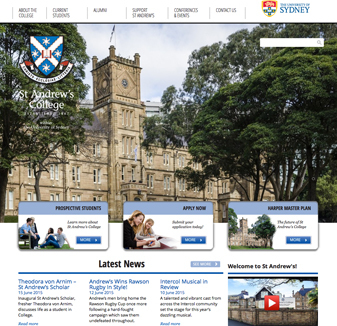 We have been in the website design, web development & digital space since 1998 building & managing custom websites and delivering complex database solutions for businesses, Corporates, Government departments, Not for Profits, and Organisations throughout Sydney and Australia. Our talented team of developers have the skills to execute a project in a seamless and exceptional manner. Our team is flexible with ranging talents to suit all budgets and style of project–from the small to the high end. Flexibility is the name of the game today, so a website with a robust content management system is an expected solution. Freedom to publish content and control your site, without extortionate lock-in contracts is a right we believe all clients should expect and is what we deliver. We specialise in PHP open source content management systems predominately WordPress but also Joomla and Magento. Our solutions are fully customised to suit your business needs and objectives. Our website developers deliver on all fronts – whether it’s building a content managed website (CMS), developing bespoke web solutions, integrating social media into your website, designing a conversion focused user interface, microsites for SEO purposes, sites to generate leads, our team of experienced web developers are able deliver a great & affordable solution for your business. All our sites are developed to be business friendly – our WordPress, Joomla + Magento CMS systems are open source giving you the flexibility and freedom you need when it comes to updating the website with content. Plus they are all search engine friendly. Hopping Mad Designs has an outstanding track record for designing and programming well thought out, and technically challenging websites. Our thorough approach to web development includes clearly defined information site architecture – which is paramount to the success of any web project. We are able to clearly articulate the design interface ( UX ) to maximise the customer experience & conversion rates. We know what it takes to turn your website into a lead generating platform for your business. Our web development team knows that this process can be quite difficult, so we have streamlined the entire process to make sure that you get a website that is extremely easy to manage, search engine friendly and scalable. 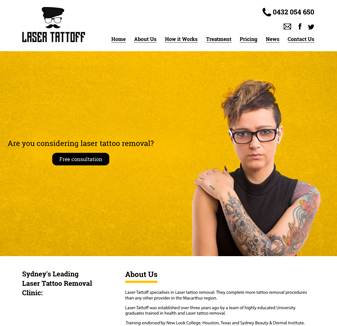 From the moment you sit down in our studio in Darlinghurst, you will know that you are dealing with a team of web developers that have been there and done that. We have handled projects of all types & sizes and our processes for getting your project across the line are methodical, transparent and completely seamless. Some of the most recent technologies used by our developers include PHP, ASP.NET, Ajax, HTML, jQuery and others to produce state of the art, inventive and user-centred websites that are way ahead of your competition. The web environment is extremely dynamic and constantly evolving – which means that our development team are always looking for the best new technology for your business. We are quick to embrace these, and in turn passing on this information to you – often saving you time, money and ensuring that your website has all the latest add-ons and plug ins. Plus we make sure that it’s completely safe from viruses, bugs and potential threats like hackers. As one of Sydney’s most experienced design, development and digital agencies, Hopping Mad delivers custom made development solutions that return measurable results. 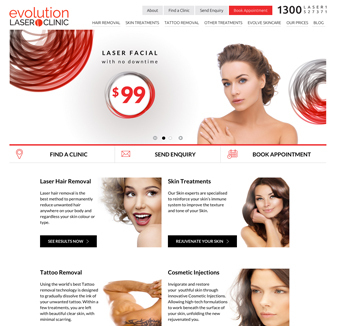 Our web development incorporates some of the most savvy developers in Sydney utilising a range of skills to deliver you a highly functional and consumer friendly website. At Hopping Mad, we consider search engine optimisation crucial to the success of any website and we employ only ‘white hat’ development techniques with every website we build. Our programming follow strict and proven SEO rules that are 100% Google compliant. Our developers are acutely aware of Google’s latest algorithm changes so you can rest easy in the knowledge that once your site has been built, it will rank on the search engines. We pay extremely close attention to content, title tags, headers, URL descriptions plus a whole lot of other programming necessities that Google is looking to reward. Without these taken into account at the web development stage your website might look great but it wont get the kind of results you are looking for. Our developers know how to build responsive websites so your new site will be viewable on all mobile and hand held devices. We ensure that website download times are kept to a minimum. We ensure that sites load fast and efficiently. All our coding complies with strict web standards. Search engine spiders trawl the internet constantly looking for websites to index into their databases. At Hopping Mad we understand the power of seriously good web development and are able to pass this expertise to your web project. We use a powerful open source content management systems which allows the user to make content changes throughout the site. We will train you in the usage of the CMS and are always happy to assist you later on if you have any question or any issues regarding updating of content or pictures. We involve you through out the complete development process. We offer solutions that will not only surprise you but will drive your business online in a direction that you never thought possible. 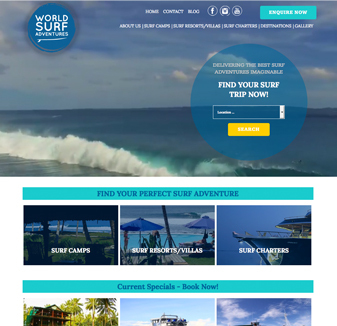 Your website is all about the user experience. Ideally you want potential customers to stay on the web site for as long as possible. You also want them to keep coming back. At Hopping Mad we get this, we have been doing this for well over 18 years and we understand that this is simply part of the web process; clever design interface, simple site architecture combined with flawless web development will ensure that your website is running smoothly and is an online success. We are your website partner long after your site goes live. Think of us as the ‘go to’ place for all your digital marketing. Being proactive in this space and using the services of professionals, who know this landscape better than most agencies, is going to make a massive difference to the success of your business. Ready to begin your next web development project? 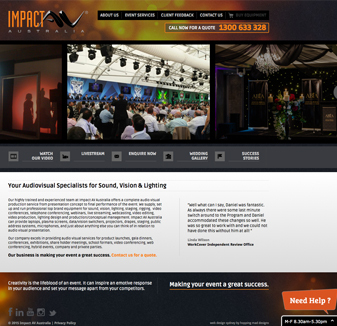 If you want to launch your next website development project but do not know where to go please call us on 02 9360 8514. All consultations are completely free of charge. You will find that our rates are extremely affordable and very business friendly. If you are a start up or an established company looking to launch a new website, this is great news. Our content management systems (CMS) are all open source and very easy to use. We can handle all types of projects regardless of size. We build sites that are designed to keep customers coming back. Better UX means more sales & profits. We have a great team of developers that really know how to code. If you have tried other developers and were not happy with the results or turn around times, please give us a call on 02 9360 8514 and see how different we are and what a pleasure it is to work with us.